Stones all around the house..
That’s right! I don’t know exactly where do they come from but it is overwhelming. This one here is one portion of the rocks we found in our yard. While digging up the ground in preparation for our vegetable garden this is what hinders us mostly? Whenever I heave the shovel there are always rocks and they are big and plenty. Since they are already free might as well use them in something else. I asked my little man to gather the rocks as much as he can for I will use them to block the bottom part of the fence. I need to barricade the garden to protect the plants from those chipmunks and other creatures who loves to eat crops. The plants need to be protected. 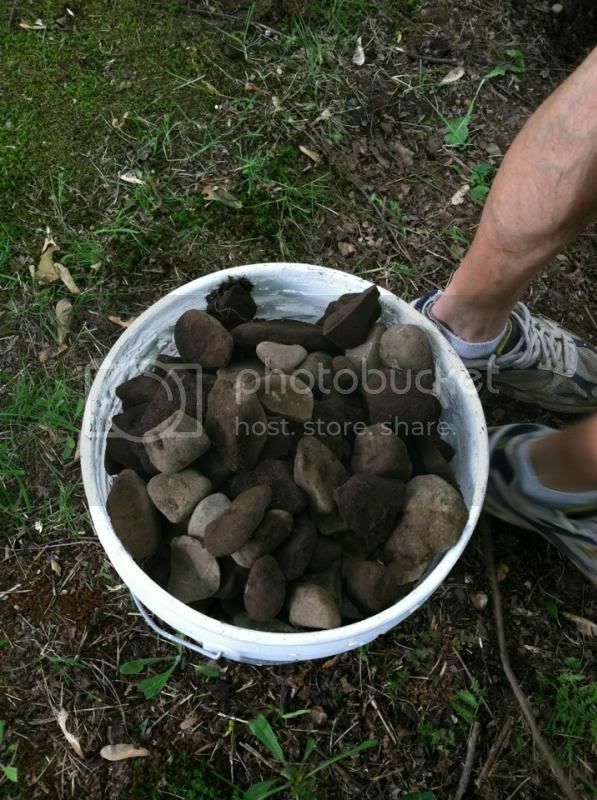 We put these rocks in a big bucket as I asked my little one to do it for me, glad he loves to pick them up too. Didn’t realize the Grams used to grow rocks in her yard. We ran into the same issue with our front garden area, large rocks and pieces of concrete. Not fun! that's pretty weird too. They must be just a small pebbles before, but rocks grew over the years and maybe that is why you found rocks everywhere. It works out being that you can use them. We have rocks in our flower bed and I hate it. It seems at least once a year one gets thrown through our windows by a neighborhood kid. in our yard we don't have much rocks but the soil is pretty solid and hard to dig up. some area in our yards are stony and rocky. good that you found some good use of it. We have a lot of sand and rocks in our yard too.l use them around my fence.